Minimalism meets deconstructionism: Our original post on the $1,000,000+ project to remove the granite panels on the arcade and its disappearing columns to avoid unintended flattenings of passerbys. An intimation of structure gone ghostly, stripped naked, knife-edged helpless. A playful, mysterious parti dematerialized down to a moody, unsettling nightmare of the street. It's the holidays, and what says Christmas better than the Gene Siskel Film Center's annual showing of Hiroshi Teshigahara's documentary Antonio Gaudi? 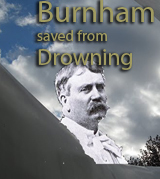 Added to the mix this December are two showings of the excellent new documentary, Make No Little Plans: Daniel Burnham and the American City, with director Judith Paine McBrien scheduled to be attendance both times. Don't blink, because the month's events are heavily front-loaded, with nearly half just this week, including Pecha Kucha 12 on Tuesday the 1st, including architects Katherine Darnstadt, Matt Dumich, and Larry Kearns, at Martyrs, a lecture by Jonathan Hill at the AIC, and Bill Walton on the TVA Dam failure for SEAOI, Frank Youngwerth relating the life and work of the two Louies (Sullivan and Armstrong) at CAF, Mike Repkin and Nick Petty discussing the Joy Garden at at Northside Prep for Urban Habitat Chicago at the Lincoln Park Public Library, and Joe Antunovich discussing the new Ronald McDonald House for Friends of Downtown at the Cultural Center. 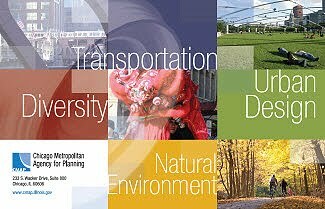 Jim Loewenberg gets ULI Chicago's lifetime achievement award. 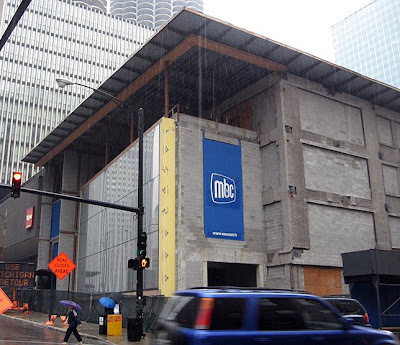 Jim Cuno discusses The Modern Art Institute at SAIC, with Ben Nicholson and Jacquelynn Bass discussing Non-Miesian Modernity and Messy Modern a week later. Stuart Cohen and Julie Hacker discuss their new book at CAF, where Jeanne Gang talks about her Lavezzorio Community Center later in the month. 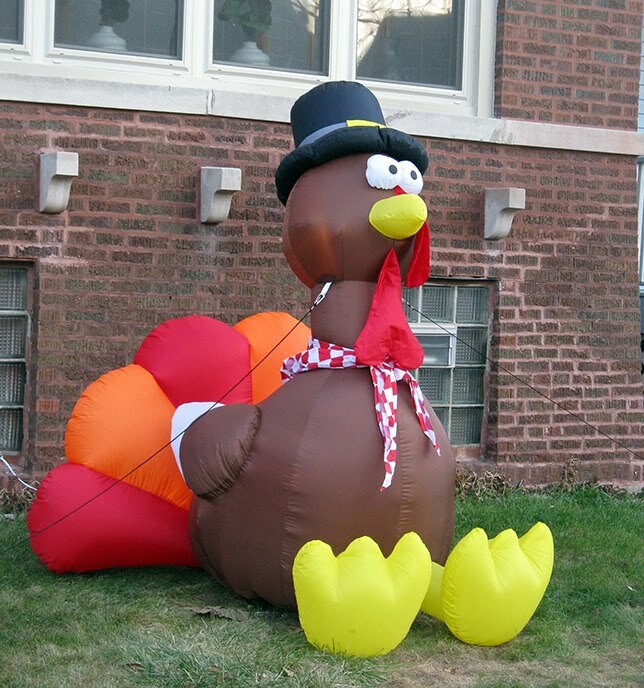 Holiday stuff: There are the traditional holiday gaslight tours of Glessner House. And parties galore, often for a good cause. SEAOI has an open house soliciting toy donations for Metropolitan Family Services, Chicago Women in Architecture benefit a food drive and their scholarship fund, CSI Chicago helps out the Greater Chicago Food Depository. And, as they say, much, much more. 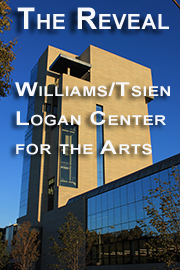 Check out all the great events here. 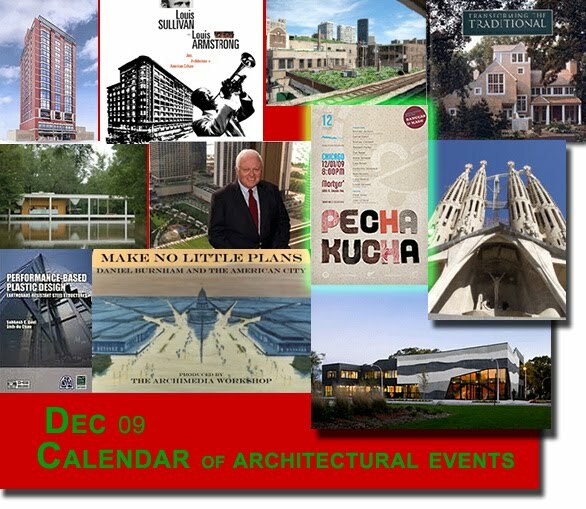 In the great ArchitectureChicago Plus tradition of getting to things only when they're just about over, we wanted to remind you that you have until Tuesday, December 1st to submit photo's for the Chicago Metropolitan Agency for Planning 2009 Images of Northeastern Illinois photo contest. You're asked to submit shots that capture what you value about the region. There will be prizes. 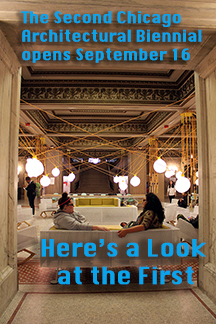 Questions, contact Lindsay Banks at 312-386-8826 or via email. More information on-line. 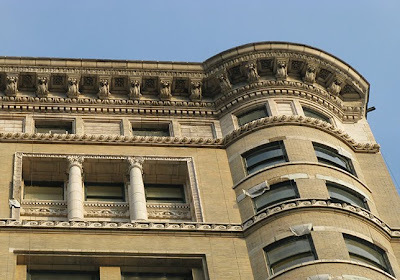 As reported by 42nd ward alderman Brendan Reilly, in a November 28th letter addressed to "Residents of the Gold Coast Neighborhood", architect/developer William T. Bickford has announced . . . Upon further review of the building, site and neighborhood context, we have decided not to proceeed with the purchase of the Three Arts Club building. 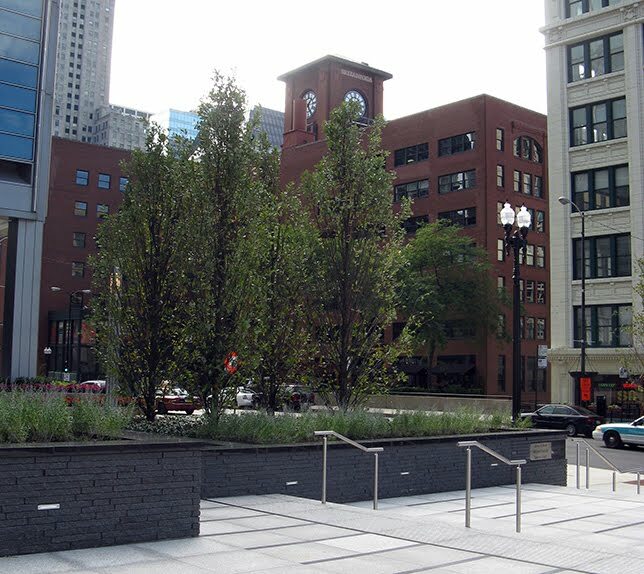 We will continue to develop The Chicago Columbarium concept at a new location for we believe it is an essential building program for the City and its citizens. 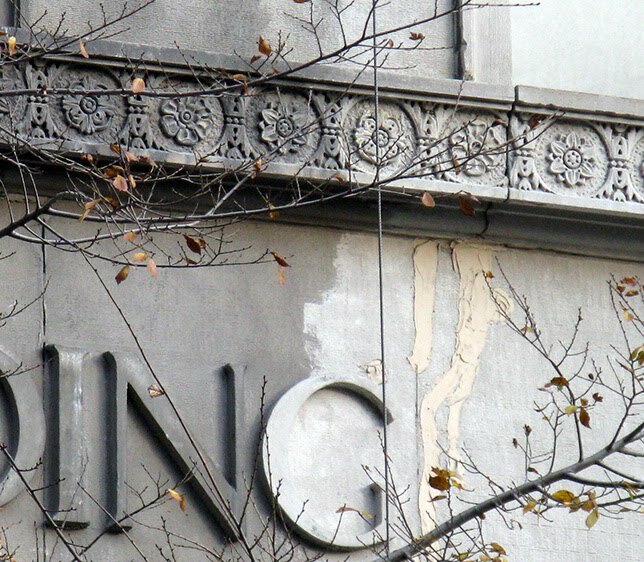 The Three Arts Club building is an architectural treasure in need of occupancy. We hope a new use that is compliant with zoning, economically feasible and accepted by the neighborhood will provide for the restoration of this Chicago Landmark. The structure has been empty since the club management vacated the premises in 2003. Rumors that the building is now being eyed as a possible new home for the Vannacutt Psychiatric Institute remain unconfirmed. I've written about this before, but one of the high points of my childhood was when my grandmother would take me with her when she came downtown to have her hair done at Marshall Field's. Imprisoning a male child in a room full of women under hair dryers was, as I understand it , officially classified as torture under the Geneva convention, so I was allowed to go downstairs to look around, as long as I promised not to leave the store. 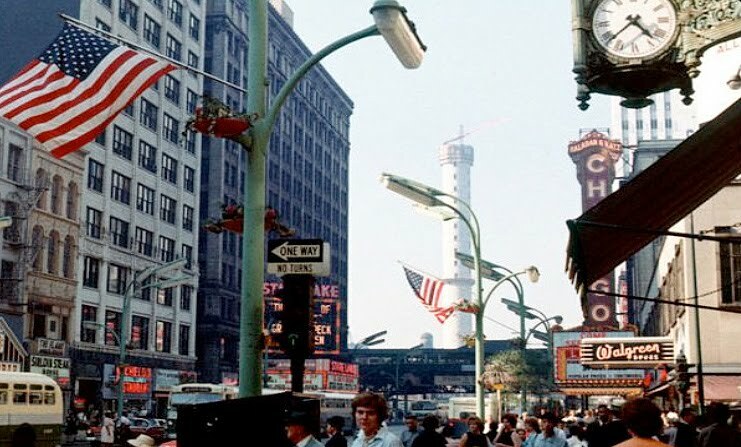 Of course, as soon as I got downstairs, I was bolting out the door, into the wonder of State Street, which at the point of time was that great street, a dizzying explosion of people, sights, smells and sounds. 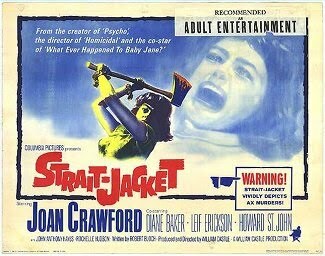 I remember walking pass the Roosevelt Theater, which was built with my great-grandfather as the superintendent of construction, and hearing terrifying screams coming from a huge Klipsch speaker set out on the sidewalk, part of the promotion for a film called Straightjacket, whose suspense was a matter of whether star Joan Crawford, a long way from Mildred Pearce, was or was not an ax murderess. 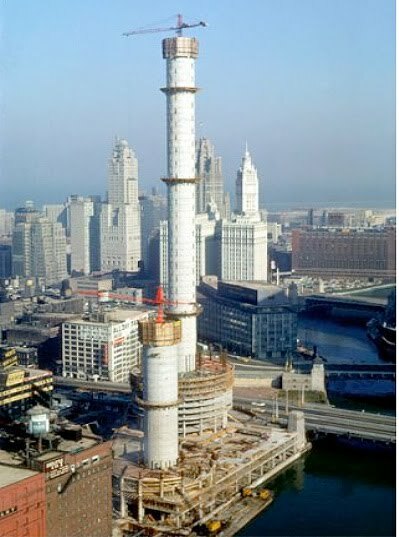 Rising up in the distance, seemingly out of nowhere, one of two impossibly thin stalks of concrete, rising up into the clouds, as strange and mysterious as Stonehenge, or the fabled lighthouse of Alexandria. 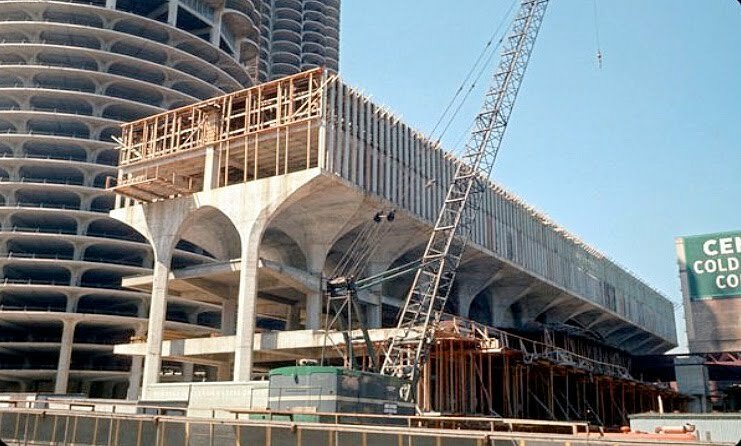 These were, of course, the cores of Marina City, Bertrand Goldberg's iconic complex on the Chicago River that broke with Miesian orthodoxy to reimagine the skyscraper in a distinctively Chicago way. 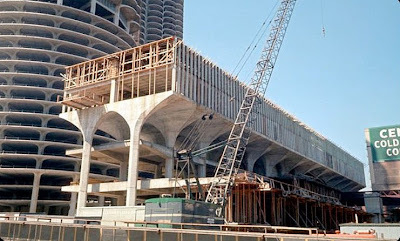 These images are among 72 newly discovered photographs of Marina City's construction, taken by the Portland Cement Association, which Steven Dahlman has just put up as a slideshow (turn down your sound if you're not an Aaron Copland fan) on his remarkable Marina City Online website, perhaps the most exhaustive site anywhere devoted to a single complex of buildings. Check out the slideshow here. 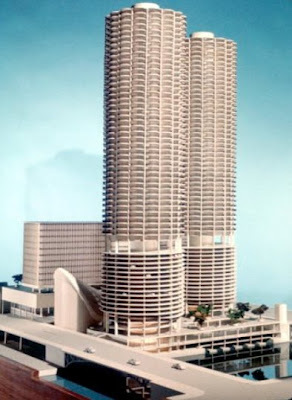 Among the items of interest is the above photo of an early model of the complex, in which the office building looks slightly puny set within the perimeter of the podium, instead of flush with it, as in the final design. 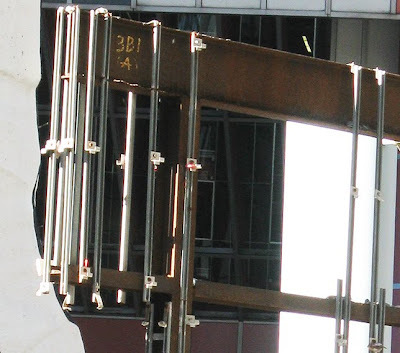 There are a number of very interesting shots, including this one of the reinforcing steel for the columns, whose shape almost seems an homage to Mies's glass skyscraper project from the 1920's. 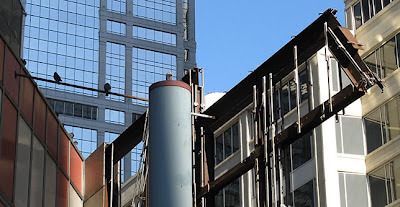 There are also shots of the office building podium under construction. And of the geometric building blocks of the complex's theatre, including these triangular end walls. 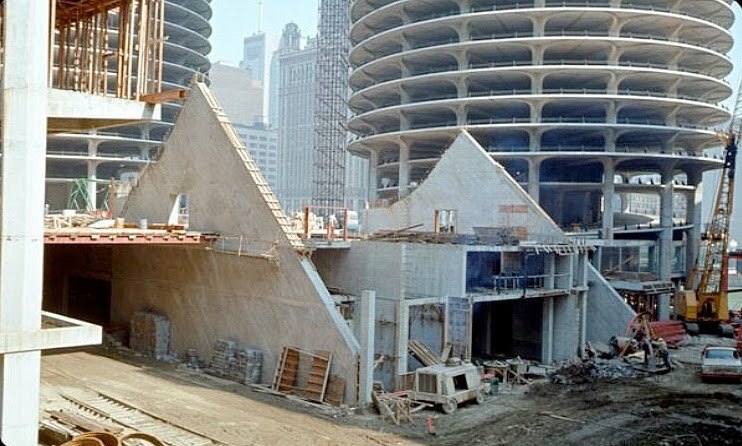 It's an amazing set, which also gives you a good idea of how undeveloped River North was before Marina city, with a complex of huge cold storage warehouses directly to the west. See all of these great photos here. "I can't believe you cut the turkey!" - Gabriel Krichinsky, as played by the great, now late (alas) Lou Jacobi. May your family gathering be bereft of such family schisms, and may you take a turkey out for a tofu dinner. Have a great holiday! The Gropius in Chicago Coalition will be holding a rally today, Tuesday, November 24 at noon in Daley Plaza to protest the destruction of the architecture of the Michael Reese Hospital campus, and to save the remaining buildings designed with collaboration of Bauhaus co-founder Walter Gropius. All concerned residents are urged to attend, and to wear black. 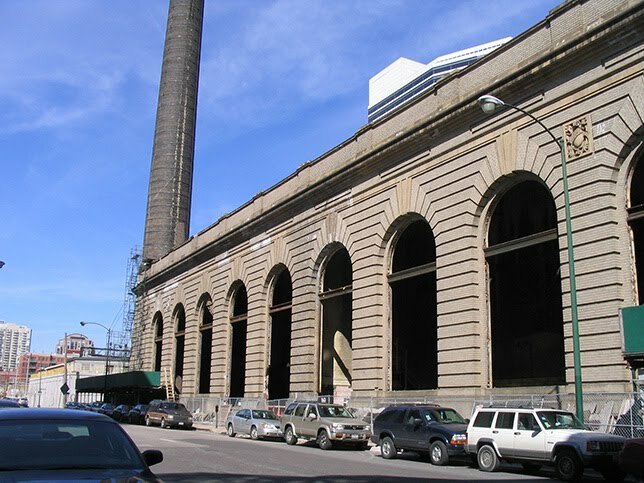 This is the 1912 powerhouse designed in 1911 by Frost & Granger to support the needs of the Chicago & Northwestern Railroad's grand terminal just west of the Loop. The building outlived its usefulness quite a while ago. It stood empty for 30 years. Yet it survived long enough for its value to be recognized. 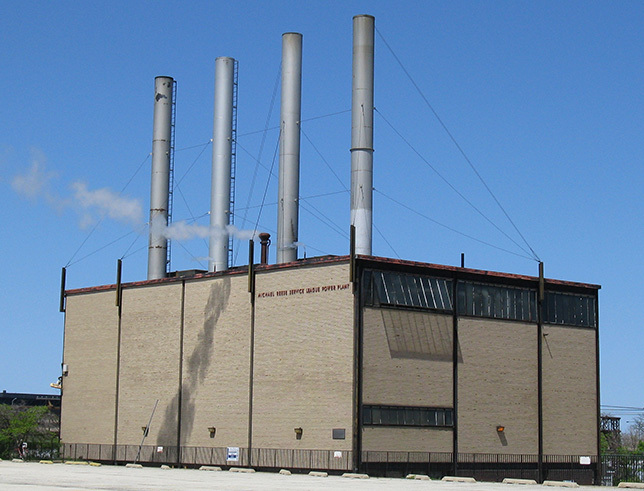 Hartshorne Plunkard Architecture came up with a plan for the restoration and reuse of the structure that has won awards and kept an important part of Chicago's history alive for its future generations. This is the muscular and handsome Michael Reese Power Plant, designed by Friedman, Alschuler and Sincere in partnership with The Architects Collaborative. 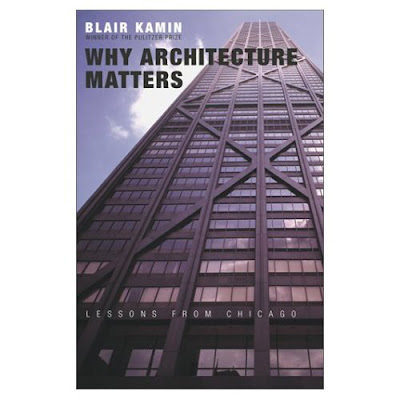 Finished in 1953, it is one of a precious handful of Chicago buildings that bear the direct input of famed Bauhaus architect Walter Gropius. 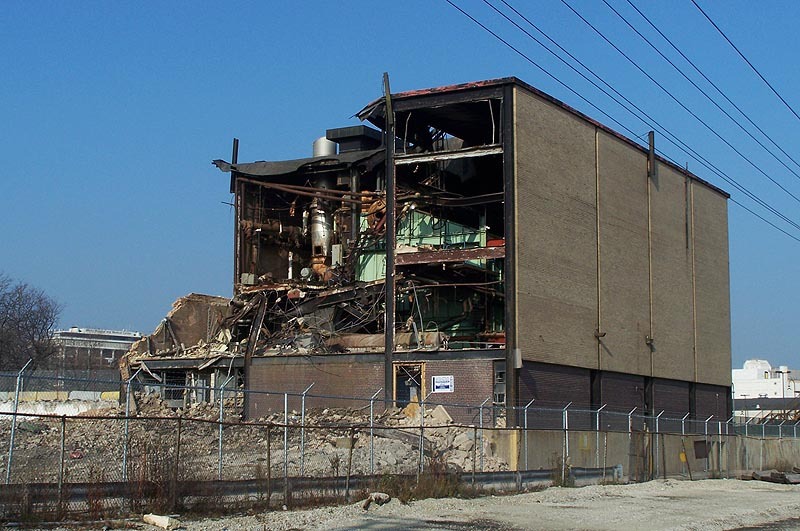 This is the power plant last Saturday, the latest victim of the Daley administration's mad, wanton rush to destroy all but two buildings on the Reese campus for an Olympics that will never come, and a megadevelopment for which there is no plan and no money. The Museum of Modern Art in New York is currently hosting a major exhibition Bauhaus 1919-1933: Workshops for Modernity. It follows a triumphant run as Bauhaus: A Conceptual Model in Berlin earlier this year. Throughout the civilized world, the legacy of the Bauhaus is discussed, debated, celebrated and honored. In Chicago, it's just an opportunity to write $11,000,000 worth of checks to grateful demolition contractors. 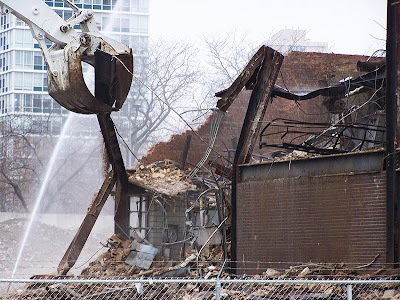 Whatever the flaws in the plan and design of the Michael Reese campus - and there were flaws - it was, in the end, a courageous symbol of optimism, of people who had decided, not to pack up and to flee to the suburbs, but to commit themselves to rebuilding. 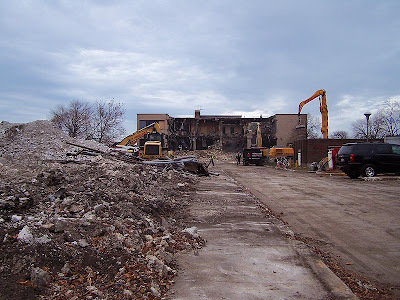 The destruction of the Reese campus, along with its incredibly beautiful landscaping is, in contrast, a symbol of exhaustion, of an administration that has run out of all ideas except for raw demonstrations of power. The Gropius buildings must be destroyed just as evidence must be destroyed, lest future generations, in growing to embrace these buildings so central to the Chicago's architectural legacy, might have the chance to save and restore them, and in the process render history's verdict on the poverty and corruption of a desperate mayor's actions. 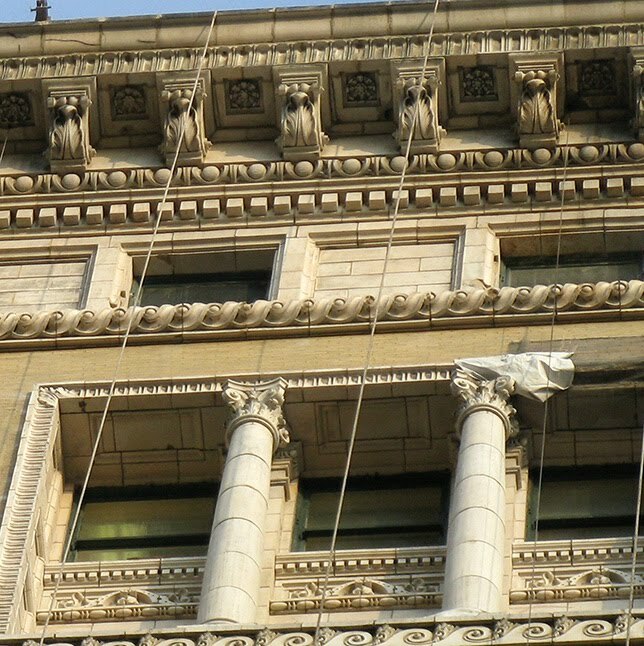 I actually read a comment on the Skyscraper City website that slammed the cleaning of Holabird and Roche's 1894 Old Colony building, saying how much they preferred the grime encrusted facade that we'd come to assume simply mirrored what was underneath. And one point the poster made - that the cleaning has brought every flaw and bit of broken decay into high relief - has certainly proven to be valid. But how can you not see what's been revealed as a small miracle? 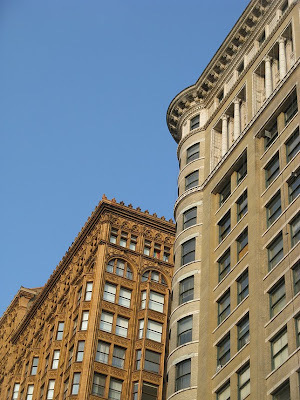 Not a dark, forbidding hulk, but brick and terra cotta almost shockingly light and graceful. Not a shadow-soaked, menacing Gotham, or a bleached Burnham Ultrabrite white, but a sunny Mediterranean expression of the City Beautiful. 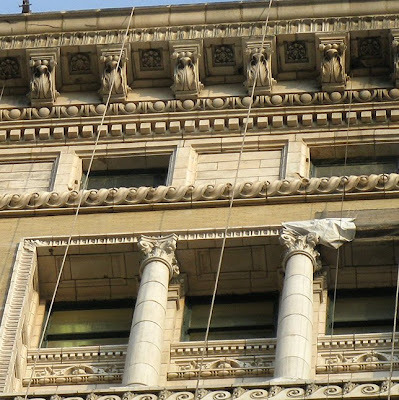 Match it with the exuberance and color of Burnham's Fisher Building, built just two years later on the other side of Van Buren, and we've restored, a century after it was last seen as the architects originally intended, one of the most handsome gateways in Chicago. 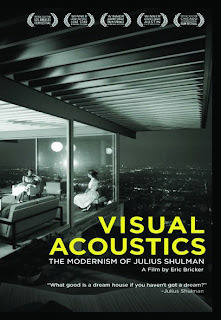 Julius Shulman: Visual Acoustics. Today, Friday, November 20 through November 26, Facets Cinémathèque opens a one-week run of Visual Acoustics: The Modernism of Julius Shulman, a documentary by Eric Bricker on the life and work of the legendary photographer who died this past July at 98. Info and showtimes here. The film, narrated by Dustin Hoffman, includes interviews with the son of Richard Neutra, who, along with other architects such as Rudolph Schindler and John Lautner turned to Shulman for iconic photographs that would be the visual passport that spread the allure of California Modern into the heart of 20th century culture. It captures a still very active Shulman at a time of closure, as he's packing up his massive photographic archives for their new home at the Getty Research Institute. Among others putting in an appearance are Frank Gehry, Riccardo Legorreta, Kelly Lynch, Joe Rosa, Benedikt Taschen and cinematographer Dante Spinotti, who photographs Shulman's return to Pierre Koenig's Case Study House No. 22, for which Shulman's 1960 portrait, in which two young women casually chat in an all-glass living room that seems suspended in air over the twinkling lights of Los Angeles, far below, made it a visual anthem for mid-century modernism. I saw this film at the Chicago International Film Festival, and found it an entertaining and informative overview of an extraordinary life, with - inevitably - many great images. The Shulman in the film was very much like the man I remember from a 2006 appearance at the Art Institute, in which he split his time between a compelling discussion of his work and - despite the best efforts of Joe Rosa - shamelessly flirting with female members of the audience. Did I mention the film also has Kelly Lynch? 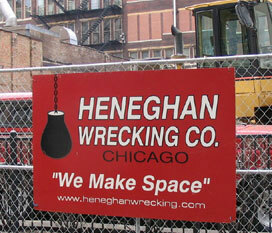 Chicago's Global Status: Perception. Direction. Monday, November 23rd, 6:30 p.m. at Columbia College, 618 S. Michigan, 2nd floor. The Grant Park Advisory Council has assembled an all-star panel to discuss Chicago's global present and future in the wake of the city's loss of the 2016 Olympics. 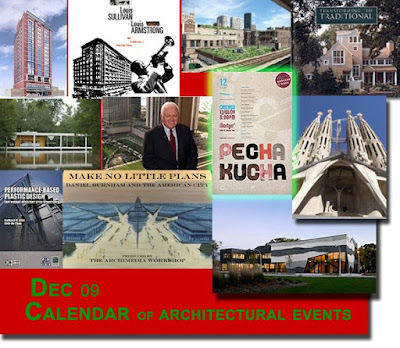 Among those scheduled to appear are architect Jeanne Gang, business reporter David Greising, Tribune theater critic Chris Jones, Richard Longworth of the Chicago Council on Global Affairs, Deborah Rutter, president of the Chicago Symphony, and others. More info here. Sean Keller: State of the Art: Specificity. 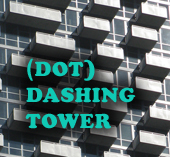 Tuesday, November 24th, 6:30 p.m. at at iSpace, 230 W. Superior, 2nd floor. The Chicago Architectural Club sponsors a lecture by Sean Keller, assistant professor of architectural history and theory at the Illinois Institute of Technology. 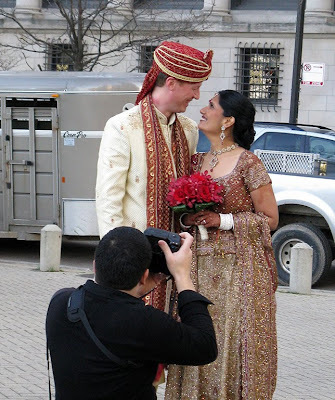 He received his Ph.D. from Harvard University and has been a visiting lecturer at Yale University. 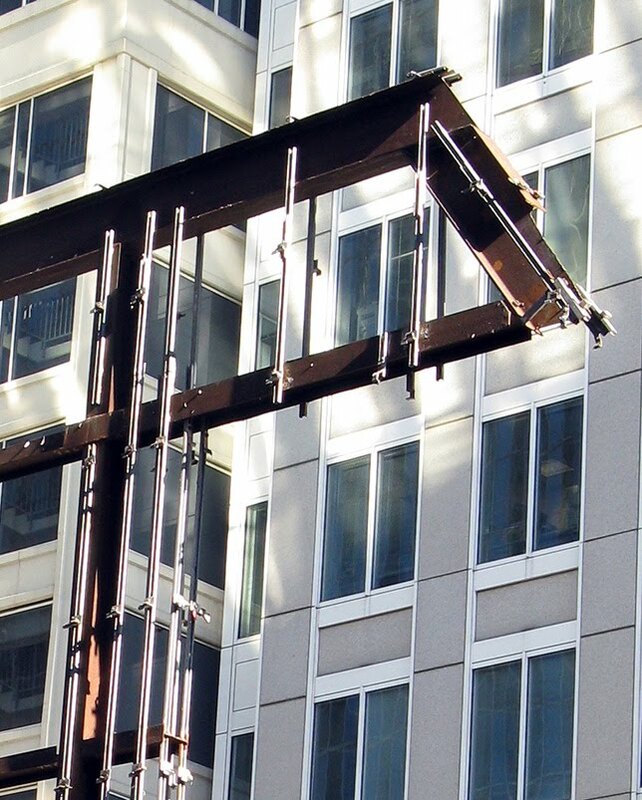 Keller has been a frequent contributor to Artforum, and his writings have appeared in the anthology Architecture and Authorship and the journal Grey Room. 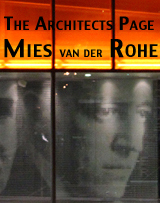 He is currently working on a book about the concept of reflexive modernism in postwar architecture. 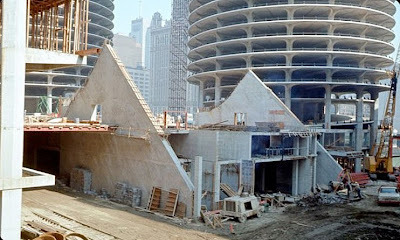 The Club is also currently offering back issues of the Chicago Architectural Journal from 1993 to 2002 for sale. There are still half a dozen events left in November. Check them all out here. Shanghai, Prosaic and Delirious: Reversed Images at the MOCP. 600 foot panda included. A six hundred foot panda dangling high above a fantastic city. A grandmother and her friends playing Mahjong in the sunlit room of a Shanghai Shikumen. 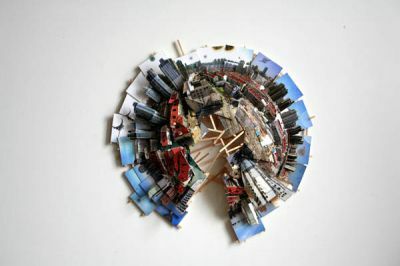 An aerial view of the same city splayed out like an exploded photopie. But let's start with something domestic. Tonight, Thursday, November 19th, at 6:00 p.m., you have a chance to attend a screening of three documentaries that are part of the exhibition which, unless your time has no limits, are really too long to take in as part of your tour of the galleries. 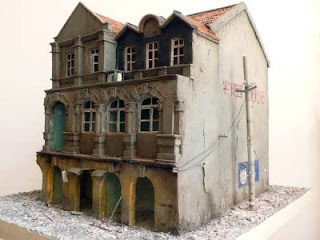 Mathie Borysevicz's Taian Lu, at 13 minutes, is the shortest, in which a decaying building from the colonial period becomes a stage set to a cross-section of contemporary Shanghai. French filmmaker Sylvie Levey's Shanghai Waiting for Paradise, twice as long and five years in the making, follows three generations living in small apartment, awaiting relocation for when their neighborhood is demolished for new development. The last film, which I was able to see a large portion of during my visit to the exhibition, is Nostalgia, from Shu Haolun, a Shanghai native who was introduced to the creation of documentaries during his studies at Southern Illinois University. In Nostalgia, he revisits his childhood home, again destined to be replaced by megadevelopment, one of the Shikumen alley neighborhoods, named for the distinctive stone gateways above their entrance, once home to diplomats and their families during the colonial period, and then to an increasing number of families jammed together under one roof in the period of Mao. 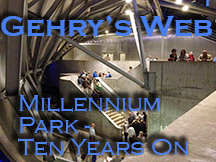 It's leisurely paced, to put it mildly. Nothing happens, and yet everything happens. You see the trajectory of a family through its once proud furniture, spaces that provided the frames for youthful crushes, cramped wooden stairways like something out of Escher, that seem to overtake a building, with the local crazy woman hurling curses at the bottom. The past recedes and flattens. People talk of the time of the Cultural Revolution as if it were just another series of summers. 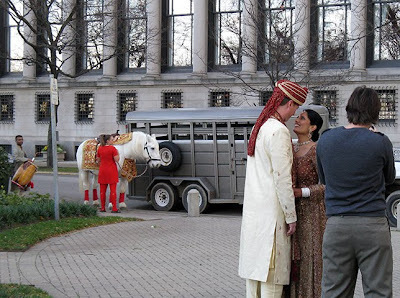 The films will screen at 6:00 p.m. tonight, November 19, in the Ferguson Lecture Hall, 600 S. Michigan, 1st floor. The exhibition, itself, which runs through December 23rd, is a must-see. For a museum that says it's all about photography, Reversed Images is multi-media to the max. There's David Cotterell's, South Facing, 72 square feet of identical white models of skyscrapers that gives you an idea of what River North might have become if only the boom could have held on a decade or so longer. Su Chang's Citylife Really Makes your Life Better? offers still another model, this one a picture perfect replica of one the traditional buildings destroyed in Shanghai's more enduring boom. Another sequence offers a duality of photographs, the first taken by Xu Xixian as he moved through the city with his young son in the 70's and 80's, the second taken by the son twenty years later in the same, now radically transformed, locations. And now for the delirious. 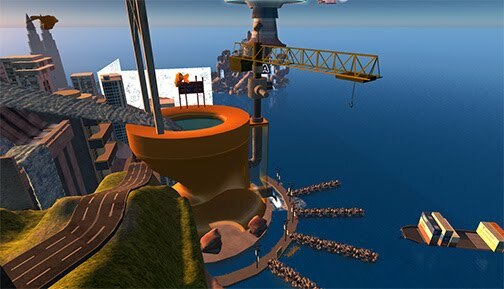 At first you may not even see it, projected on a wall behind you as you mount the stairs to the highest gallery level. 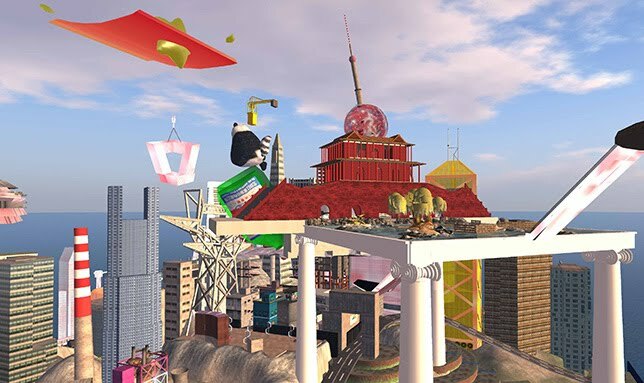 But look back and there it is: RMB City, the vision of China Tracy, the avatar of artist Cao Fei, one of six finalists for the 2010 Hugo Boss award for contemporary artists. 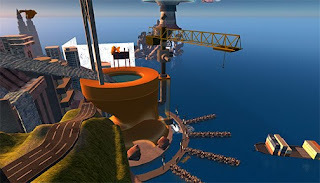 RMB City is a place in Second Life, the 3D Virtual on-line world where you create a avatar with which to interact with the other avatars of the 16,000,000 registered users in worlds that those same users have created. And so you have a surreal agglomeration of urban and cultural icons. The aforementioned dangling panda is one end of a massive steel beam teeter-totter-in-the sky with Rem Koolhaas's CCTV tower at the other. It shares the stratosphere with a gigantic spinning "People's Observation" Bicycle Wheel a la Marcel Duchamp. As you move you through the city in vertigo-inducing swoops, you'll also encounter Tiananmen Squares' Gate of Heavenly Peace, the Herzog and deMeuron's Bird's Next, smoldering skyscrapers disturbingly evoking 9-11, a levitating People's Aerial Castle that looks like the stepbrother to the Star Wars Death Star, the People's Bomb Center, the People's Patron Saint marooned in the sea just offshore, hand upraised in salute, tilting wayward. 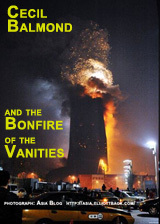 Flames flare from the top of a soaring smokestack evoking, William Blake's Satanic mills. Everything crammed and stacked, with traffic and trams wending their way through the chaos. It's like a perpetual motion machine set into action by a creator who then walked away. As opposed to most of Second Life, in which the avatars explore, chat, shop and copulate, RMB City is eerily empty. The stores sell nothing. 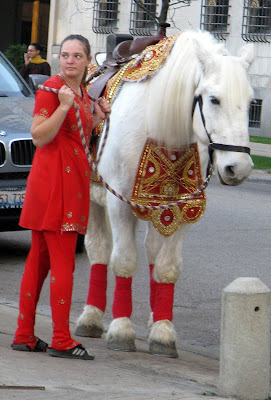 The courtesans entice but remain untouchable. Interactive elements simply don't function. According to its creator, it has never had "any secrets or things waiting to be unearthed." 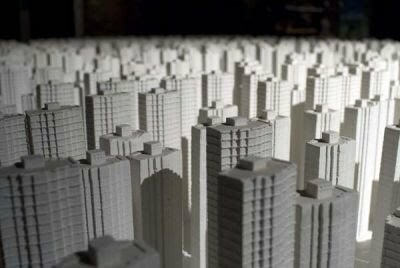 RMB City is an art project and contains references to contemporary cultural concepts. There is satire, but also praise and even admiration. But this does not describe it in its entirety. There is also loss, melancholy, memory and nostalgia. As a cultural "space," it lends itself to research, discussion, experimentation and realization. As a spiritual site, it is a constant, ongoing drama. As a reflection of contemporary China, it has the revelry and balderdash of postmodernism. RMB City has no claims to having anything to do with the Burnham Plan Centennial, but somehow it has more to say about the basic ideas than a lot of the official components of the celebration. 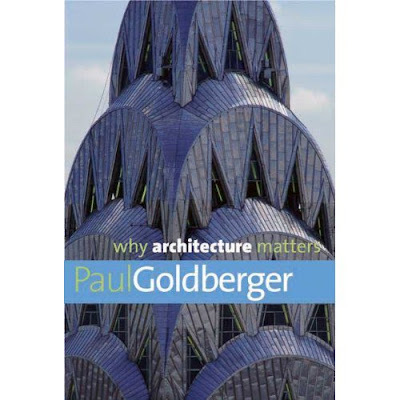 Architecture matters, architecture matters, architectu . . .
Marina City Online is reporting that a bill awaiting Gov. Patrick Quinn's signature will give the beleaguered Museum of Broadcast Communications that $6 million former Illinois governor and Mad Magazine mascot Rod Blagojevich promised years before, and never delivered. So I guess I shouldn't be expecting any solace this winter from one of those toasted cheese sandwiches from Johnny Rocket's, whose opening in the museum building was announced over a year ago. 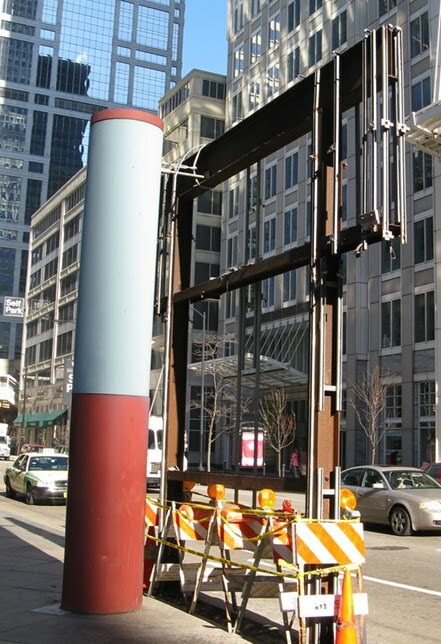 It was three-and-a-half years ago, just before everything ground to a screeching halt, that the curtain wall went up on the former parking garage at State and Kinzie, which we recorded in photo's here. Printers' Row: Park or Plaza? Cherchez le chien (and bring a mirror). 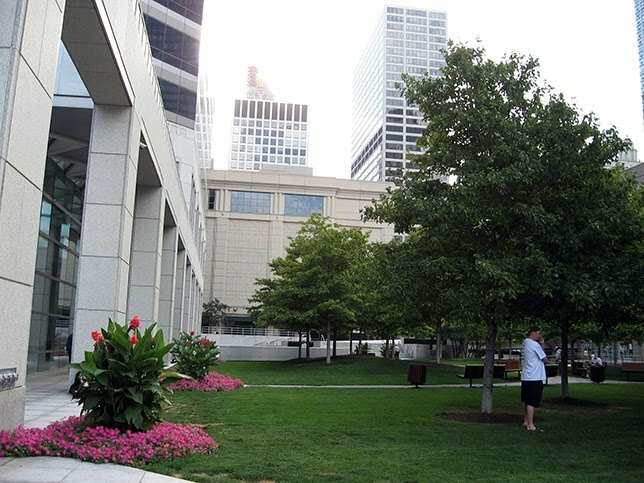 A couple of Saturday's ago, they dedicated what's called the Printers Row' Park, a generous strip between Dearborn and Federal, between Polk and Harrison, just south of the Transportation Building. 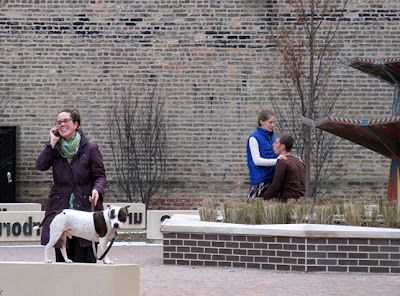 There was music, poetry and dancing, as you can see in pictures in the Chicago Journal's report here. 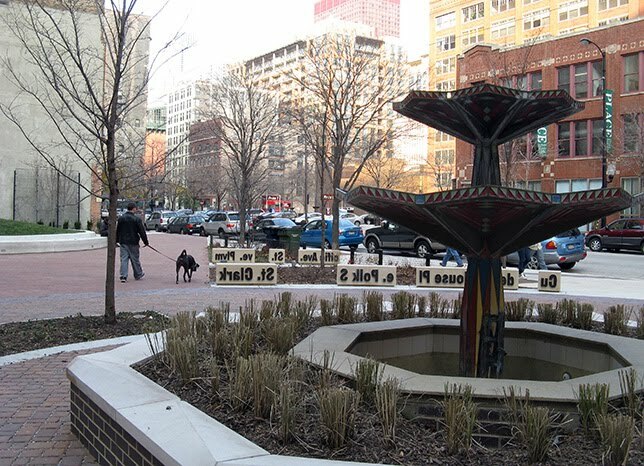 The most distinctive element of the park adorns the sides of the seating benches - segments of neighborhood street names in reverse type, a reference to the area's origins as the center for Chicago's printing industry. To create the park, an existing fountain was retained, two cross driveways closed off, and a number of mature trees removed. Their replacements appear to be mere pups. 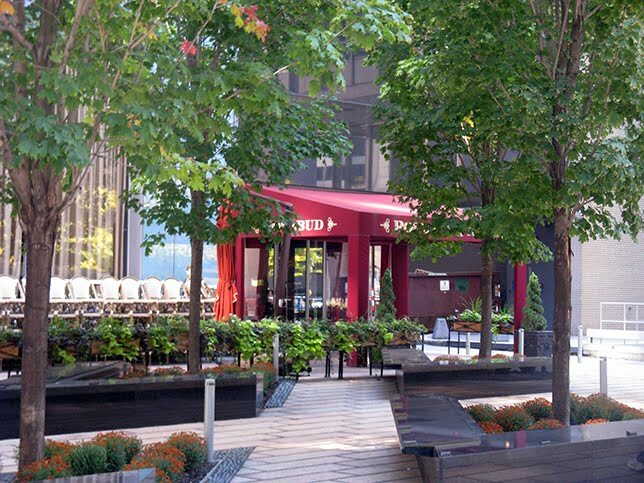 The cusp of winter is a poor time to judge the quality of a landscape design, this one coming from Ernest Wong and the Site Design Group, Ltd. Right now things are looking more than a bit sparse, but come next spring, perhaps it will look a lot more like the original site plan. A larger question is whether this place can really be considered a park - "an area of land, usually in a largely natural state, for the enjoyment of the public" - at all. 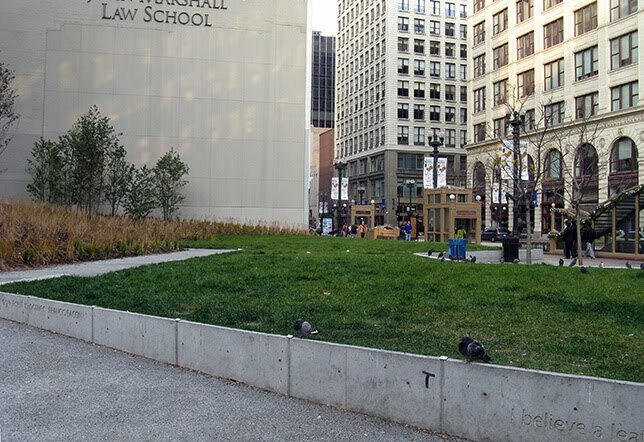 Like the newly renovated Pritzker Park at Van Buren and State, paving dominates over lawn. 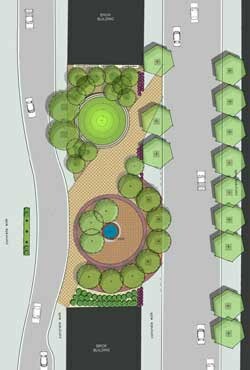 And what there is of lawn is raised up within concrete curbs. This is said to be a strategy to avoid contamination by dog leavings, which would appear to be confirmed at Printers Row by a green chalk inscription along the raised circular lawn's concrete rim: "This grass should NOT BE A DOG TOILET. LET PEOPLE ENJOY IT TOO!" As the inscription continued, the word "NOT" was effaced, leaving the words "GRASS ______ DOGGIE POTTY" below which one could see a smear that had every appearance of being what we called, when I was a child, "dog dirt." When I visited the park this past Saturday, there seemed to be as many dogs as people. No violent confrontations were observed. "Curb you dog" used to be enough. 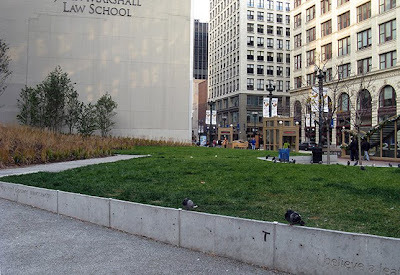 When you box up the lawn, you have what I found at Pritzker Park, also on Saturday. Pretty much everyone was sitting along the periphery, on the concrete edges along State Street. The rest of the park, except for the pigeons, was empty. Raising up and boxing in is apparently the perfect "keep off the lawn" mechanism, discouraging dogs and people alike. For nearly twenty years, dogs and people managed to co-exist, despite the usual conflicts, at the handsome park south of the AMA Building, an accidental greenspace created by John Buck as a placeholder for an office building he expected to develop on the site. 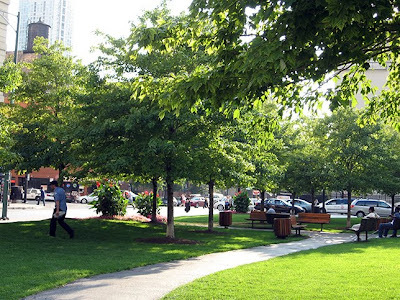 Maintained by Buck for decades, it was a model of what a park in the middle of density could be. 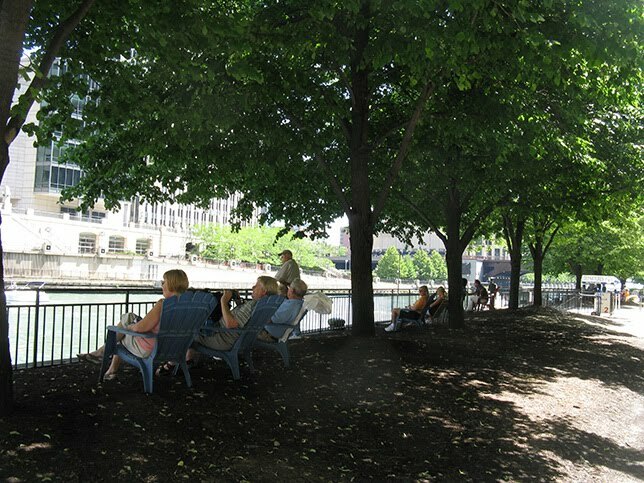 As River North grew up all around it, the trees growing into mature beauty, the park became an increasingly central civic resource, for both people and their pets. And, of course, the city rebuffed offers to purchase it, and sat on its hands while the only real greenspace in River North was destroyed for still another hotel. Nature wasn't in boxes at the AMA Park, nor is it at another splendid amenity, the landscaped plaza at One South Dearborn, a wonderful forest oasis in the heart of downtown density, where the greenery remains at ground level, protected by a smart use of seating elements. 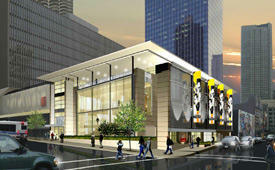 Contrast this to the new 353 N. Clark office tower. 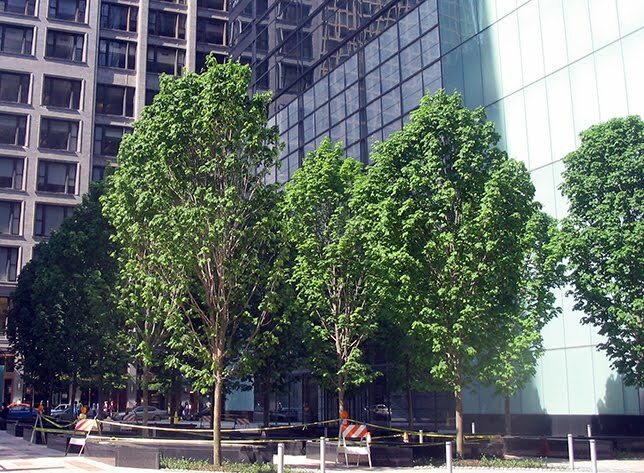 In an ever more dense River North that is parched for parkland, the opportunity to create an AMA-like amenity was rejected for still another trees-in-big-boxes design. 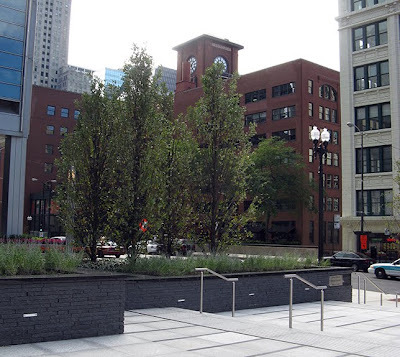 What could have been a much-needed park became just another self-aggrandizing plaza. Maybe that should be rule number one: If you can't walk on the grass, it's not a park.